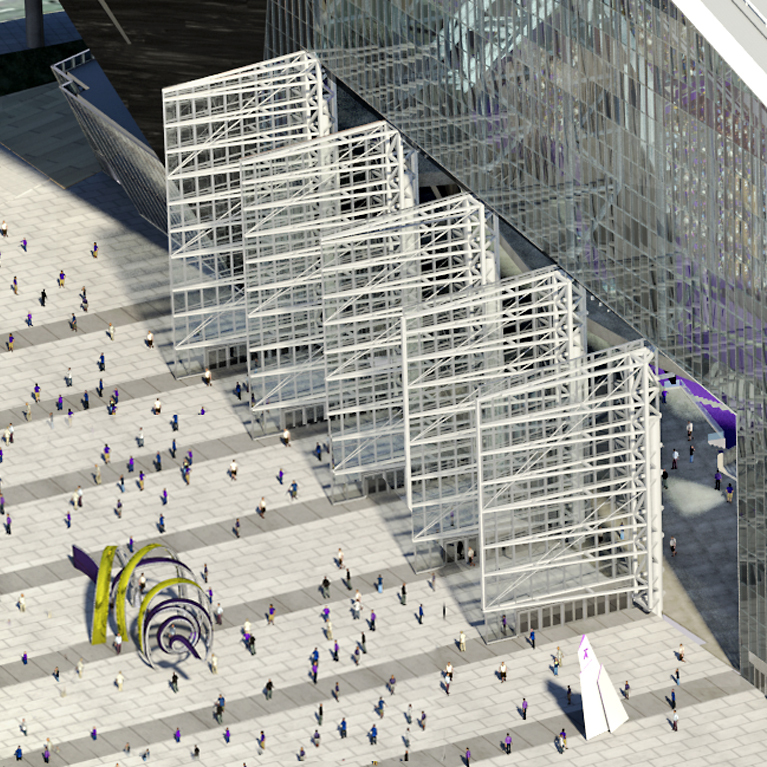 US Bank Stadium, the largest public works project in Minnesota’s history plays host to the Minnesota Vikings and other sporting and entertainment events. Overall, this stadium at 1.75 million square feet is nearly twice the size of the old Metrodome. The stadium’s contemporary design includes a metal skin, transparent flexible polymer roof, and even heated snow gutters. One of the prominent features is the five giant pivoting glass doors. These doors are hydraulically operated through the use of six hydraulic cylinders per door. Advanced Fluid Systems was contracted to engineer a solution to power and control the cylinders. While the process of opening and closing the doors seems fairly straight forward, the sheer size of the doors makes for a massive undertaking. Here is a little background on the doors. 5 doors. 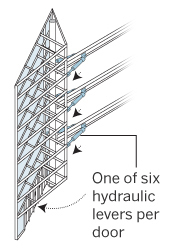 Ranging from 75 to 95 feet high. Each are fifty feet wide. Consisting of 30,000 square feet of glass. Weighing all together 40, 000 tons. Currently the largest pivoting glass doors in the world. With all of the specifics and structural plans finalized, Advanced Fluid Systems went to work developing a solution to open and close the doors. The unique solution was to have each door to be fitted with three pairs of 8″ bore cylinders. Three cylinders push on one side of the pivot point while three cylinders pull on the opposite side. A total of thirty cylinders were used for the five doors. 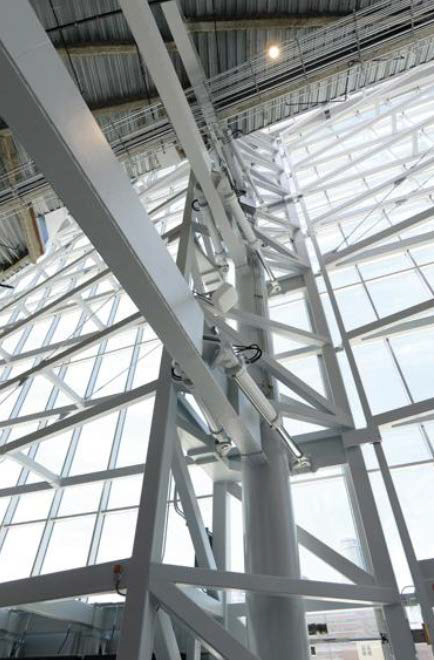 Each cylinder has a custom Sun Hydraulic manifold utilizing a regenerative circuit design to save energy and space. 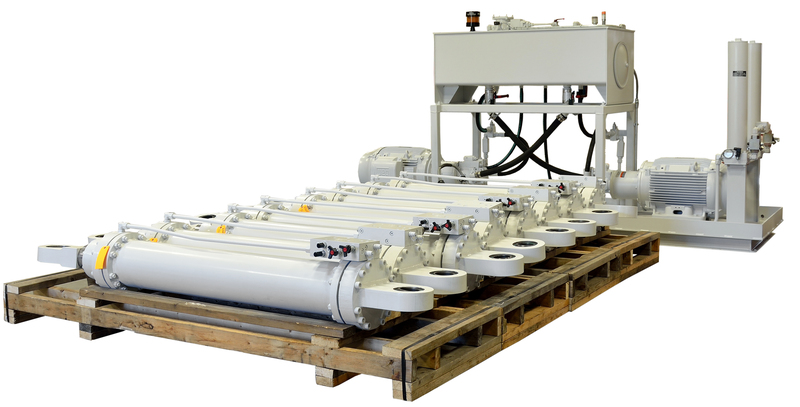 Advanced Fluid System also engineered and built the custom hydraulic power unit with a relatively small reservoir of 100 gallons for the cylinders’ operation. 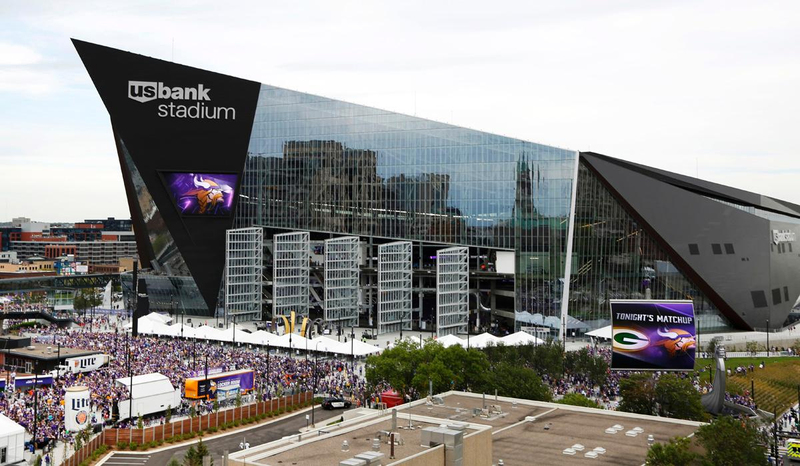 U.S. Bank Stadium opened on July 22, 2016 and has been chosen as the site of the Summer X Games (2017 and 2018), Super Bowl LII (2018) and the NCAA Men’s Final Four (2019). Contact Advanced Fluid Systems for successful solutions to unique problems.